USITT is saddened to share the passing of Fellow of the Institute Joy Emery. Please look for a full notice in the next issue. The Fellows of the Institute would like to select two Early Career members who will join seasoned professionals at USITT19 to establish a mentoring relationship. By applying, consideration will be given to the following criteria: current employment, the background of work, career goals, and personal desires. Each of the two ECMs selected will receive free Conference registration and a $1,000 stipend to assist with Conference expenses. Over the four years, the Fellows have offered this opportunity, eight ECMs have gained a professional leg up and established valuable networking connections. Information regarding this program will be found in our next issue. It is time once again to begin our search for USITT member authors who are interested in participating in the 2019 Louisville Conference Member Author Book Signing Event. Members who have authored or co-authored a book in theatre design or technology may participate in this event. The title must be published and available for purchase by Dec. 31, 2018. USITT will purchase copies and ship them to the Conference for the event. Event times and dates will be available as they are scheduled. Please contact Carol Carrigan at carol@usitt.org for more information. The Board of Directors and the Grants Committee of USITT are pleased to announce the next Request for Proposals (RFP) for the Institute’s Innovation Research Grants Program. This round of the nearly $1.5 million investment in theatre design and technology, makes $110,000 available to individuals, teams, and businesses pursuing research to address current challenges faced by the entertainment industry. These funds will become available in February 2019 and are evaluated by a panel of experts who will look at impact, significance, innovations, team strength, fiscal viability, technical merit, application, and transferability. Interested applicants should check the full guideline details and submit their application. The application deadline is Nov. 19. Review of all submitted proposals will be conducted immediately following, with Board of Directors action to award scheduled for Jan. 17, 2019. LiNK will take place Nov. 9-11 at the Crowne Plaza Hotel Atlanta-Airport in Atlanta. The Rising Star Award sponsored by LDI/Live Design is still accepting nominations. The Rising Star Award is presented annually at USITT to a talented young designer in the first five years of his or her career, after completing their graduate or undergraduate degree. Nominations for the 2019 Rising Star Award will close Nov. 20. The deadline for applications to Tech Expo 2019 is just four weeks away! 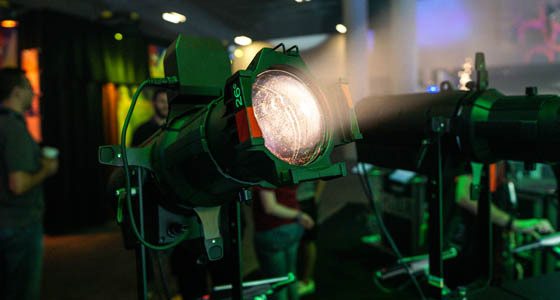 Technicians from all areas of production can get their work published and exhibited at USITT in Louisville. Apply by Oct. 15 here. If you have any questions, contact Tim Francis at tfrancis@trinity.edu. USITT will fund the new Director’s Award for the ASTC – USITT Venue Renovation Challenge. To expose students to other available career paths, ASTC and USITT teamed up in 2014 to create the challenge. By working together with a professional ASTC theatre consultant as a mentor, students learn about how venues are designed, or spaces are transformed into performance venues. Substantial improvements to an existing theatre including technical and performance capabilities for the venue. Conversion of non-performance space into a new performance space. Changing the form and/or function of an existing theatre. Starting with the 2019 Challenge, the monetary awards have substantially increased. The Edgar L. Lustig Honor Award is named after a founding member of ASTC who served over 25 years as its secretary-treasurer. The new Director’s Award funded by USITT. The Challenge Team’s final submittal and public presentation given at the USITT Annual Conference is judged by a Jury of ASTC members who are not serving as current Mentors. Applications are due Oct. 26 to Van Phillips. Submit here. 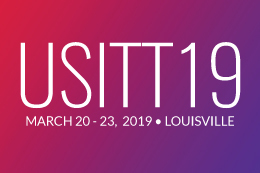 USITT19 is Coming: Are you Prepared?